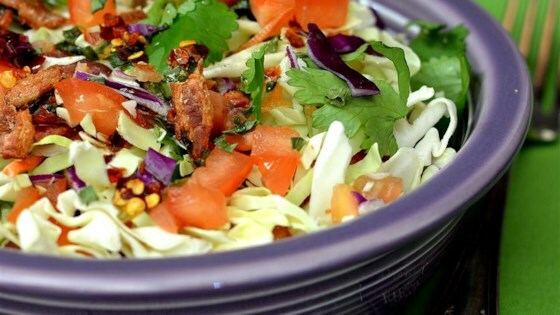 "This salad consists of green cabbage, onions, cilantro, tomatoes, bacon bits, almonds, and sesame oil. This is a favorite of everyone I make it for, and they ask me to bring it to every gathering they invite me to. It's yummy!"